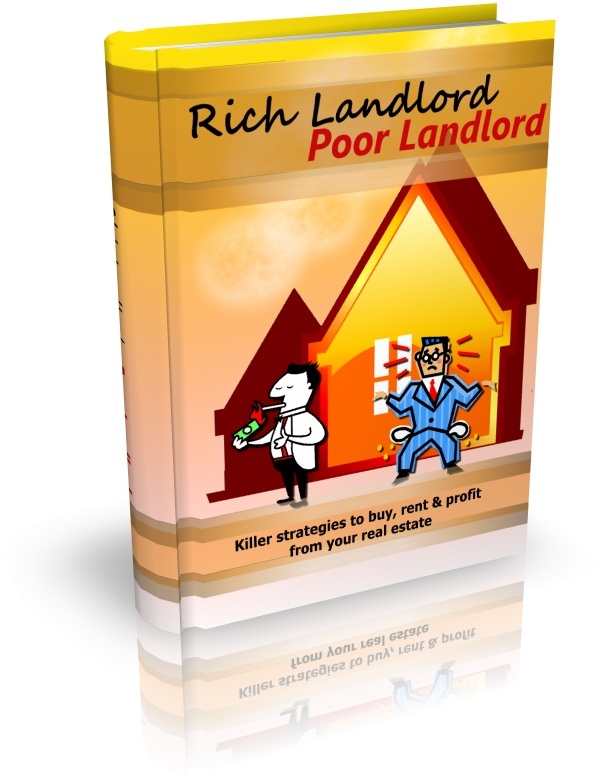 Get All The Support And Guidance You Need To Be A Success At Being A Landlord! Would you like to get the most out of your real estate but just don’t know how making your life difficult… maybe even miserable? First, you are NOT alone! It may seem like it sometimes, but not knowing how to get started with making the most from your real estate is far more common than you’d think. The Costs of NOT Getting All The Info You Need Are Just Too High! And Your lack of knowledge in this area may not be your fault, but that doesn’t mean that you shouldn’t — or can’t — do anything to find out everything you need to know to finally be a success! So today — in the next FEW MINUTES, in fact — we’re going to help you GET ON TRACK, and learn how you can quickly and easily get all the knowledge you need to be a successful landlord… for GOOD! This Book Below Will Show You Exactly What What You Need To Do To Finally Be A Success With Your Real Estate!